Hardly any doctor, researcher or patient can or wants to do without computer tomography nowadays. It provides transparency and is essential for diagnosis and strategy development prior to patient treatment. Applied to the challenges of digital transformation, the same transparency is needed as in research and medicine. Data-driven business processes with Artificial Intelligence (AI) and Robotic Process Automation (RPA) can only be developed successfully if the real workflows of the business processes are comprehensible in detail. It’s not without reason that Gartner has listed process mining as part of augmented analytics in its Technology Trend 2019, because data-based business optimization offers significant automation potential. While process mining was previously limited to the area of BPM (Business Process Optimization), it can make a direct contribution towards cost reduction, improved customer service and risk reduction through integration with enterprise applications, performance management and business analytics. A very interesting use case for process mining is the switch to a new ERP. If companies have to migrate their classic ERP system, as is the case with S/4HANA by 2025 for example, the question usually arises as to what should be transferred to the new system. Which old processes can be shut down, which can be changed, how can the system become leaner? Process mining provides valuable information for this question in particular, shortens discussions and helps to significantly reduce implementation costs and project risks. If a company wants or needs to become more efficient, it cannot make meaningful decisions without a reliable diagnosis. What are the processes really like, where is it worth optimizing processes? Very few employees in the specialist departments or in IT are really aware of the actual business processes, deviations from target processes, bottlenecks, cost drivers or process risks. Furthermore, there are often individual differences of opinion among the participants, so the risk of “political” failure at the very beginning of a project is very high. A traditional analysis of business processes through interviews and visualization ties up valuable resources, takes too long, is expensive and is prone to errors. By the time a traditional process analysis has been completed, it is already outdated and cannot be repeated in the short term due to reasons of cost and resources. The sheer unmanageable variety of processes, even in medium-sized companies, means more intelligent tools are required. What makes process mining so efficient? Modern process mining solutions can be installed within a few days and offer the significant advantage that they analyze each process in an agnostic way. This is possible thanks to the digital footprint that every action leaves in an IT system. With the help of the various patterns and on the basis of historical data, an analysis is carried out, from which an easily understandable and highly visual process map is automatically generated for all further investigations. This is simple and repeatable without additional costs, and the way of working becomes transparent, practically in real time. This means business analysts from the specialist departments are now able to look deep into operational processes independently, without the need for a data scientist. Let’s assume processes were changed, optimized from the point of view of the project manager, then this task is done for him. But does an optimized process really bring improvements for the company or the customers? How can this be monitored? The decisive questions can be answered using analytics and KPIs: Does a company earn more after a change, have costs fallen or just been moved elsewhere? Are we compliant, have risks been minimized? If you use a process mining tool correctly, you can analyze the “way of working”, make deep drill-downs into the processes, and drive optimization projects forward. 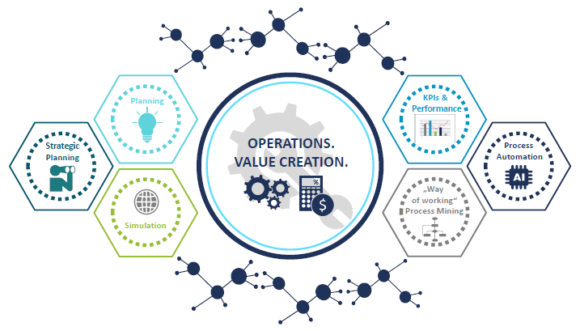 If you measure the most important key figures along the process to be optimized using traditional analytics methods from the point of view of controlling or the operative departments, success can be measured immediately after a change has been made. And this not only applies to individual discrete processes, but also to complex process chains. Process mining uncovers the bottlenecks and deviations within the operational processes and provides the information needed to make the required operational changes. 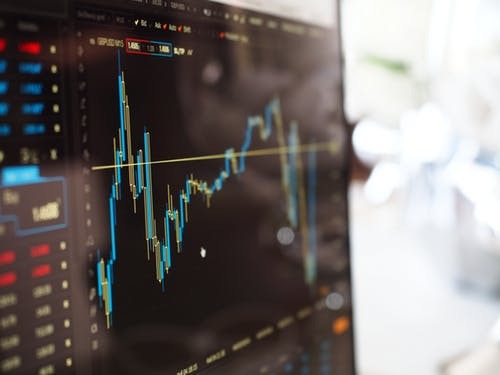 Analytics monitor the performance of operations and create transparency with regard to costs and service levels, including the success of a process change. For the first time ever, BPM can prioritize required changes, and measure and evaluate the effects of the changes. And most of this is completed automatically to a large extent. Fig.3: Camelot Data & Analytics – The DNA for your Value Chain Processes & Insights! As the recognized value chain expert, the CAMELOT Consulting Group offers its customers support with the evaluation, selection and introduction of process mining solutions as well as training and coaching. Please contact us for details and further information.